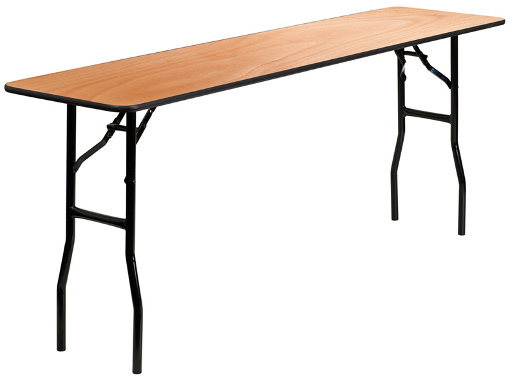 This plywood folding seminar table will withstand years of the heaviest use in commercial environments. This table features a thick 3/4" plywood top. This is a perfect table for hotels, rental halls, an many more applications.